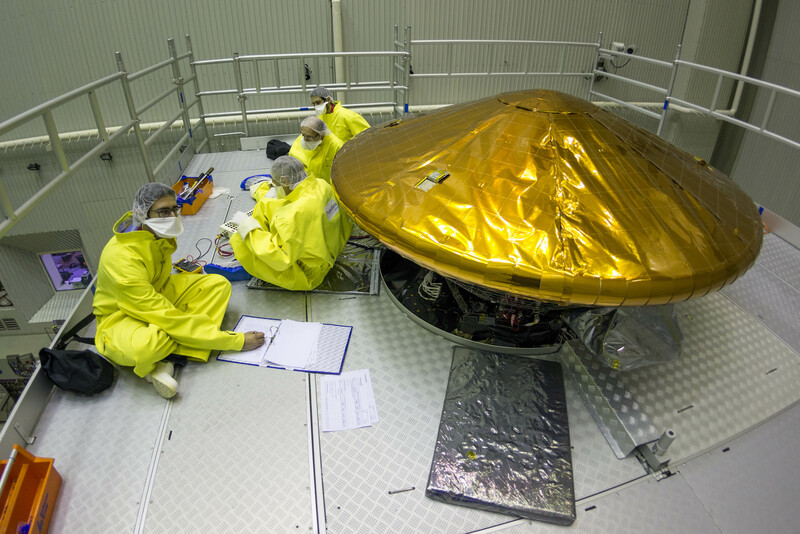 cnes | ExoMars 2016: Perfecting the Trajectory! Home> News and events> ExoMars 2016: Perfecting the Trajectory! On 19 October, the landing demonstrator known as ExoMars Schiaparelli will touch down on Mars after detaching itself from the Trace Gas Orbiter (TGO). Its job is to validate new technologies and to demonstrate Europe’s ability to land on Mars, as well as to take scientific measurements. 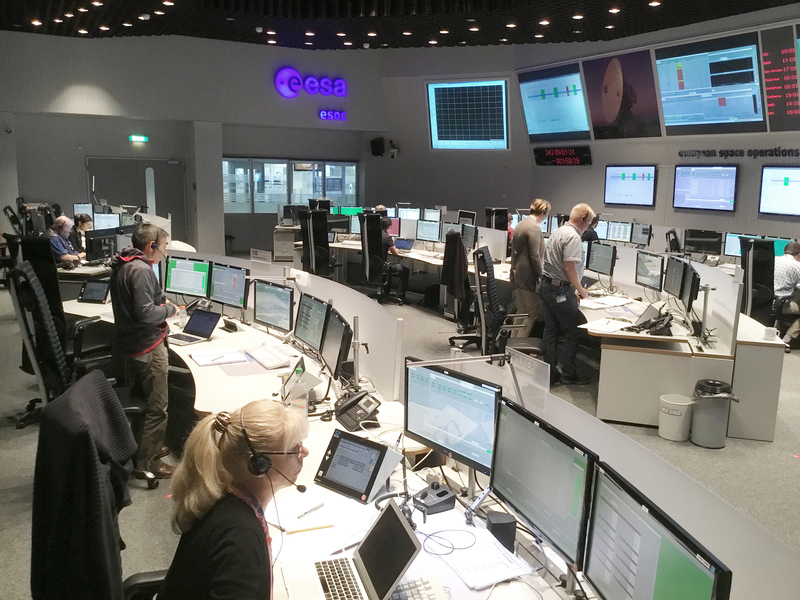 The orbiter’s trajectory has just been adjusted to ensure the success of the two events scheduled for 19 October—the landing of Schiaparelli in the Meridiani Planum region, and TGO’s insertion into orbit. In other words, it’s all systems go! After separating from TGO on 16 October, Schiaparelli will land in the Méridiani Planum region on 19 October. Schiaparelli is equipped with a vast amount of technical sensors for gathering data during its atmospheric reentry, parachute descent and landing. It will also spend several days transmitting data from a small scientific payload dedicated to atmospheric studies. An ultra-precise navigation technique is used to locate the orbiter to within 1,000 m, at a distance from Earth of 150 million km. Its operators hope to use the data they’ve accumulated to reach accuracy levels close to 150 m at 150 million km. So, see you from 16 October onwards for the next episode of the ExoMars 2016 adventure! ExoMars is a Mars exploration programme with both technological and scientific objectives. A cooperation between the European Space Agency (ESA) and Russia’s Roscosmos State Corporation for Space Activities, it includes the ExoMars 2016 and ExoMars 2020 missions. Since its launch on 14 March, ExoMars 2016 has covered nearly half of the 500 million km to the red planet. 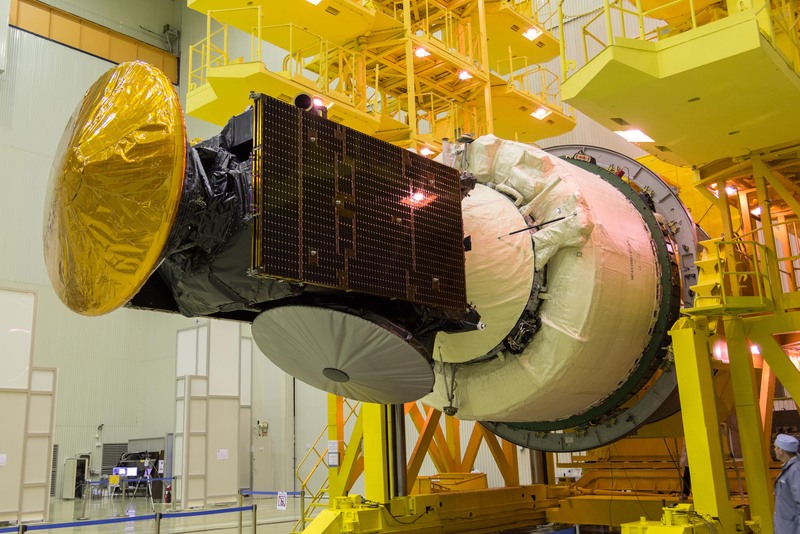 ExoMars 2020 will be launched late July/early August 2020. CNES is supporting ESA’s ExoMars programme in the form of both finance (approximately 15%) and technical input. December 2017 - December 2019: TGO to conduct scientific research mission of the Martian atmosphere. From December 2017, TGO will also be able to relay to Earth data from NASA rovers operating on the surface of Mars, before taking on the ExoMars 2020 rover on its arrival in April 2021.